Part 1 of this series focused on the technical difficulties involved in assessing the potential harm from exposure to a substance being tested. This part (2) concerns a different kind of contamination: endemic conflicts of interest in which money and political power undermine scientific risk assessments, placing in jeopardy the public’s health and well-being. Scientists often have financial and other conflicts of interest which, in turn, lead to biases that impact on conclusions. A fascinating recent example of apparent unconscious bias comes from a survey of scientific publications commissioned by the Dutch government on the effects of pesticidal GMO (Bt) crops on non-target organisms in outdoor experiments. The survey revealed that researchers who found negative consequences of GMO (Bt) crops were disregarding their own findings, even when these were statistically significant. Even more interesting to the Dutch authors was that the rationales offered for doing so were oftentimes illogical. Typically, researchers used experimental methods designed to detect ecotoxicological effects that were “transient or local”, but when such effects were found, the researchers dismissed the significance of their own results — as being either “transient or local”. This Dutch report represented prima facie evidence that researchers across a whole academic discipline were avoiding conclusions that would throw doubt on the wisdom of using GMO Bt crops. Apparently, the researchers had a prior commitment to finding no harm — the kind of commitment that scientists are not supposed to have. 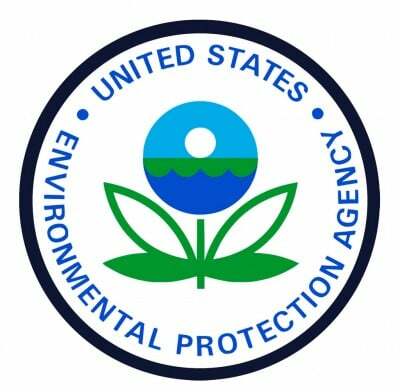 The US Environmental Protection Agency (EPA) has a variety of institutional and procedural defects that prevent it from being an effective regulator. One of the better known ones is to allow self-interested corporations to conduct their own experiments, and to provide the data for risk assessment. This lets them summarize — or even lie about — the results. It is extraordinarily easy for an “independent” commercial testing operation to bias or fix the result of a typical toxicology study for the benefit of a client, as pointed out by Melvin Reuber, former EPA consultant. How the EPA first allowed corporations to generate and submit their own regulatory data is a story well worth knowing. In the 1980s Industrial Bio-Test Laboratories (IBT) was the largest independent commercial testing laboratory in the United States. Food and Drug Administration scientist Adrian Gross discovered that IBT (and other testing companies) weredeliberately, consistently, and illegally misleading both the EPA and the FDA about their results. Aided by practices — such as the hiring of a chemist from Monsanto, a company that manufactured PCBs, to test PCBs — IBT created an illusion of chemical safety for numerous pesticides and other chemicals. Many are still in use. They include Roundup, atrazine and 2,4-D, all commonly used in US agriculture. Senior IBT managers were eventually jailed, but what the scandal revealed was that whenever results showed evidence of harm — which was often — a concerted effort to mislead regulators was standard practice. Even more remarkable than the scandal was EPA’s response to it. Instead of bringing testing in-house, which would seem the logical response to a system-wide failure of independent commercial testing, EPA created a Byzantine system of external reporting and corporate summarizing. The resulting bureaucratic maze ensures that no EPA employee ever sets eyes on the original experiments or the primary data — and only a handful can access even the summarized results. This system has a further consequence: excluding any possibility that whistleblowing on the part of Federal employees or even FOIA requests (from outsiders) might reveal fraudulent or otherwise problematic tests. Thus the EPA has calculatedly turned a blind eye to any future wrongdoing in the full knowledge that the chemical regulatory system it oversees was systemically corrupt. Probably more familiar to readers is what is called “regulatory capture.” This takes many forms, from the offering to public servants of immediate favors and future jobs, to the impact of top-down political interference on regulatory agencies. The culminating effect is to ensure that political will within agencies to protect the public is diluted or lost. Regulatory capture can become a permanent feature of an institution. For example, Organization for Economic Co-operation and Development member countries have an agreement called the Mutual Acceptance of Data (MAD). MAD is appropriately named. It has the effect of explicitly excluding from regulatory consideration most of the peer-reviewed scientific literature. The purported goal of MAD was to elevate experimental practices by requiring certification via Good Laboratory Practice (GLP), a procedure introduced, ironically, after the IBT scandal (Wagner and Michaels, 2004). GLP is a mix of management and reliability protocols that are standard in industrial laboratories but rare in universities and elsewhere. Therefore, the consequence of adopting MAD has been to specifically exclude from regulatory consideration evidence and data not produced by industry. The MAD agreement explains much of the regulatory inaction over the plastic bisphenol A (BPA), for example. Because of MAD, FDA and also its European equivalent, the European Food Safety Authority, have ignored the hundreds of peer-reviewed BPA studies—since they are not GLP— in favor of just two by industry. These two industry studies, whose credibility and conclusions have been publicly disputed by independent scientists, showed no ill effects of BPA. Various EPA whistleblowers have described in detail the lamentable specifics of their former organization’s capture by branches of the chemical industry. Whistleblower William Sanjour has described how regulatory failure was ensured by the basic organizational structure imposed on the EPA at its Nixon-era inception. The structure of EPA is inherently conflicted since it has the dual functions of both writingand enforcing regulations. The Agency’s unwillingness to enforce high standards led his superiors to order Sanjour to write deliberate loopholes into those regulations. More recently, the EU’s EFSA was similarly caught proposing loopholes for new regulations on endocrine-disrupting chemicals. Inserting loopholes seems standard practice in the writing of chemical safety regulations. Another EPA whistleblower, David Lewis, this time at EPA’s Office of Water, has shown in court-obtained documents that, in the 1980s and early 1990s, EPA scientists buried evidence and even covered up deaths so as to formulate new regulations (which came to be called the 503 sludge rule) that would permit land application of sewage sludge. As EPA knew, this sludge was routinely contaminated with pathogens, heavy metals, industrial chemicals, pharmaceuticals, flame retardants, and other known hazardous substances. David Lewis eventually obtained a legal judgement that the City of Augusta, Ga, had“fudged” the toxicity testing of its own sewage sludge in order to meet EPA guidelines. The city had done so at the request of the EPA which wished to facilitate final adoption of the 503 sludge rule in 1993. The corruption necessary to enact these sewage sludge regulations extended well beyond the EPA. Other federal agencies, several universities, the National Academy of Science, and municipalities, were also party to fraud, data manipulation and coverups. Even more recently, EPA whistleblower and chemist Dr. Cate Jenkins and the non-profit Public Employees for Environmental Responsibility (PEER) successfully sued EPAfor suppressing information about toxic effects on 9/11 first responders. Judge Chambers also found that EPA worked a “fraud on the Court” through numerous “false claims” and inaccurate claims of privilege, which upon examination applied to “none of the documents provided.”The judge also found that EPA deliberately and illegally destroyed an unknown number of documents which should have been under a litigation hold. The ultimate effect of these institutional defects is that chemical risk assessments in the US and the EU have a safety bar for approval that is so low that regulators virtuallynever decline to approve a chemical. In contrast, the same institutions use standards for taking any chemical off the market that are so high that such an event nearly never happens. Of course, if both standards were based purely on science, as they always claim to be, both bars would be the same height. This double standard represents an accurate measure of the overwhelming bias in the chemical regulatory system. At every stage — from the funding of research to the ultimate decision to approve a chemical — the process is dominated by commercial concerns and not by science (as was recently shown yet again). Chemical regulatory systems are not just broken, they are unfixable. To come: Unsafe at Any Level, Part 3: What To Do? Jonathan R. Latham, PhD is Co-founder and Executive Director of the Bioscience Resource Project; Editor of the Independent Science News website. He holds a Masters degree in Crop Genetics and a PhD in Virology, and was a postdoctoral research associate in the Department of Genetics, University of Wisconsin, Madison. He has published papers in disciplines as diverse as plant ecology, plant virology and genetics. “The Twin Research Debate in American Criminology” (2015); “Transcomplementation and Synergism in Plants: Implications for Viral Transgenes?” (2008); “Transformation-induced Mutations in Transgenic Plants: Analysis and Biosafety Implications” (2006).